Boil and peel eggs. 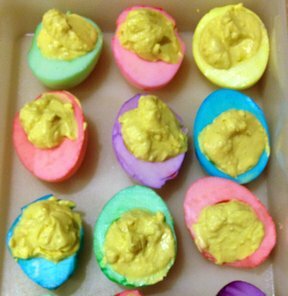 Cut eggs in half. Put yolks into bow. Squash yolks with fork or potato masher. Add mustard to taste. Then use Ranch dressing to taste. 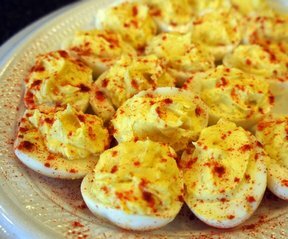 Fill egg whites with mixture. Top off with paprika if desired. 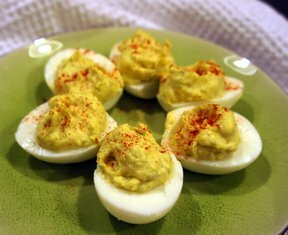 Chill eggs, or eat right away! *** Ranch dressing replaces mayonnaise. Add as much ranch dressing as needed.